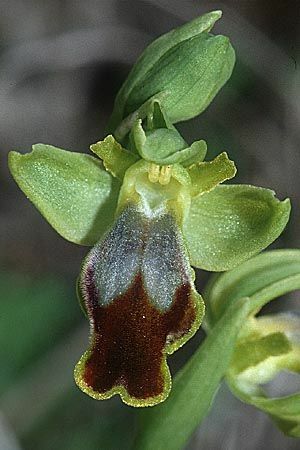 Ophrys flammeola P.DELFORGE (2000) was described in Natural.Belges 81 (Orchid. 13): 256. 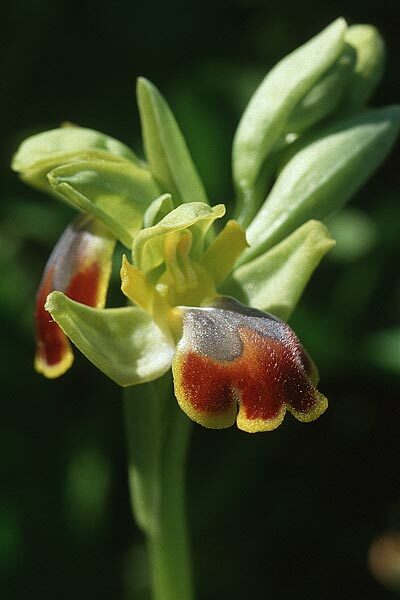 The early flowering orchid had a medium sized to big labellum, which is convexely arched. 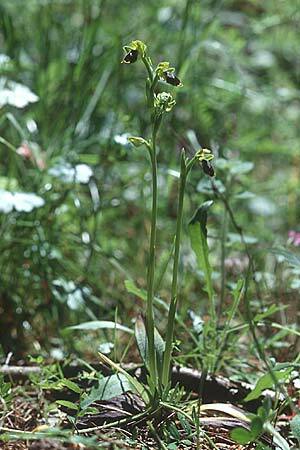 The front part of the medium lobe is often ascended as at Ophrys lutea. 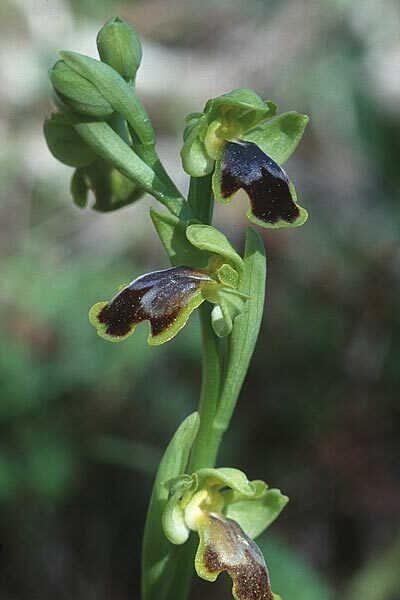 I think PAULUS und GACK meant these plants, when they mentioned an 'O.fusca with lutea infusion' in Jber.naturwiss.Ver.Wuppertal 43 (1990): 136, pollinated by Andrena florentina and thoracica. 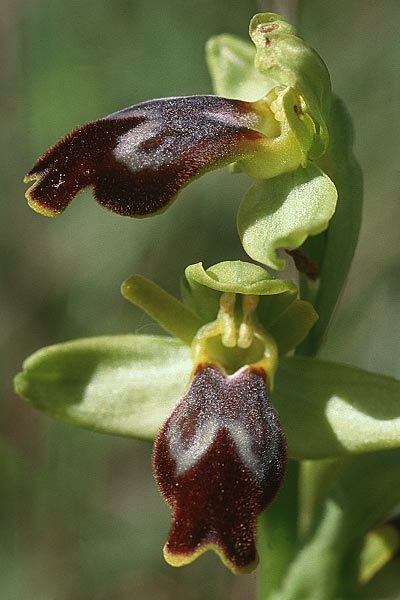 In the 2.edition 2001 of his field guide and in other publications DELFORGE assigns different Ophrys fusca s.l. from Province of Siracusa to the invalid name 'florentina-fusca'. 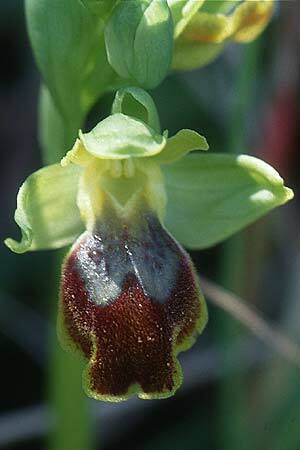 This story can be read on the Ophrys gackiae page.